Hey girls! Sometimes you've got to just jump in! Summer's a great time for relaxing with friends under the sun and getting a great tan and drinking fruity drinks! 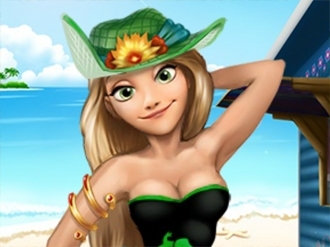 It's Rapunzel 's Summer Break, and she's going to love every moment of this fun summer vacation! 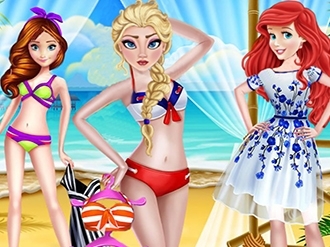 Dress up Rapunzel in trendy chic one piece or two piece swimsuits in fabulous neon colors and accessorize. Enjoy! 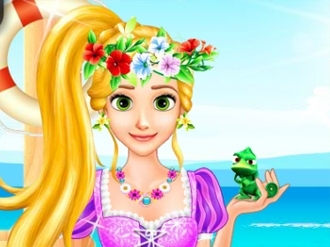 Rapunzel is heading to the beach to catch the last summer sunrays! Would you like to join this cute blonde princess? If so, she wouldn't refuse some help in choosing the best way to dress up. Summer is just around the corner. It's time to enjoy the longer days and the warmer breeze on beach. Come with princesses and show your fashionable advice for them! Have a good time! 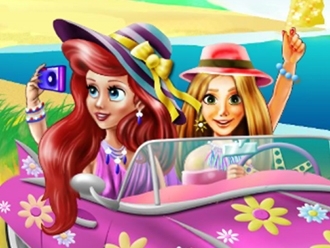 Join our two cute princesses in their car trip to the beach.On the way,they will have a lot of fun,will take selfies,change their outfits and decorate and change their car to look nice and fit for some princesses.Have fun playing our latest html 5 game called Princesses Beach Trip.